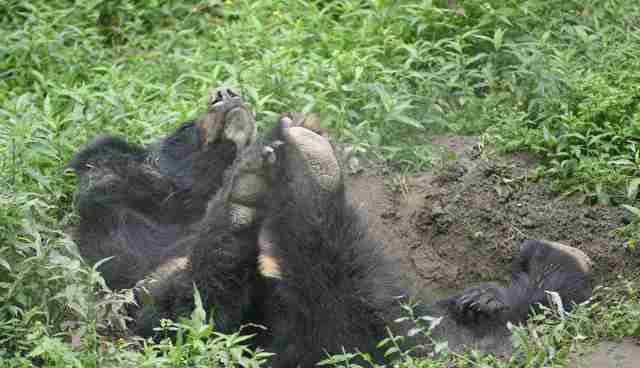 Bears lucky enough to be rescued from the bear bile industry go on to enjoy a freedom they could never have contemplated on the farms. 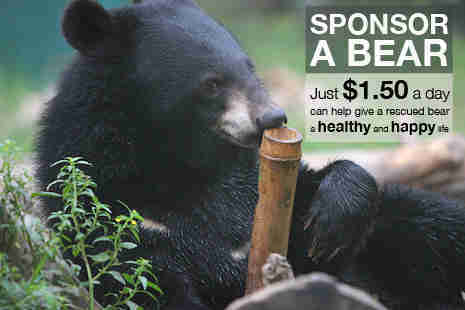 At Animals Asia's sanctuaries in Vietnam and China, bears can forage, climb, swim, play with toys, wrestle and express the natural behaviors they were unable to perform in farm cages. 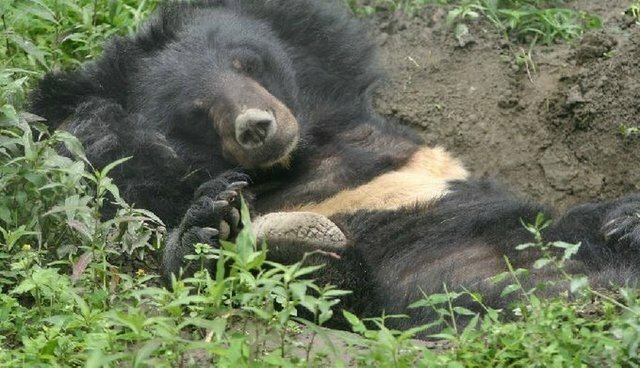 For moon bear Possum at our Chengdu sanctuary, freedom meant building a custom fit nest and having a long blissful nap without a worry in the world. First, she set about making the perfect nest. 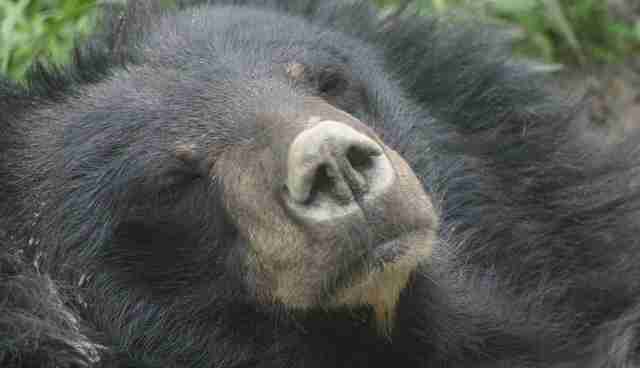 When temperatures soar, one place a bear knows she can find respite is in the cool earth. Possum used her super strong bear claws to scrape out a bear shaped hole in the ground with an angle of incidence to perfectly fit her moon bear back. After that, Possum simply lay back and enjoyed 40 winks in the calm of Animals Asia's sanctuary. The only time Possum stirred, was when she decided to stretch out and touch her toes, before lying back again and returning to her moon bear dreams. We hope you all have a blissful #MoonBearMonday full of simple pleasures and quiet moments.